Sealing granite helps your counters resist stains and keeps them glossy and bright. After making an investment in natural stone countertops, your goal is to keep it looking beautiful for years. That means protecting it with sealing every 12 to 18 months. Though granite is an incredibly strong material, it can still be affected over time by liquid and foods that seep into the surface where the seal has worn away. While you could simply follow instructions regarding a timeline, there is also a specific way to tell if you need to reseal your counters: the water test. Pour about a quarter of a cup of water onto your granite counter. Let it sit. Watch it over the course of 30 minutes. Did the stone absorb it in five minutes? If so, it’s time for resealing. You’ll probably have to apply a few coats. If it took a little longer to absorb, about 10 minutes, you’ll probably only need one coat. On the other hand, sealing granite isn’t necessary if the water beaded up and was not absorbed at all. 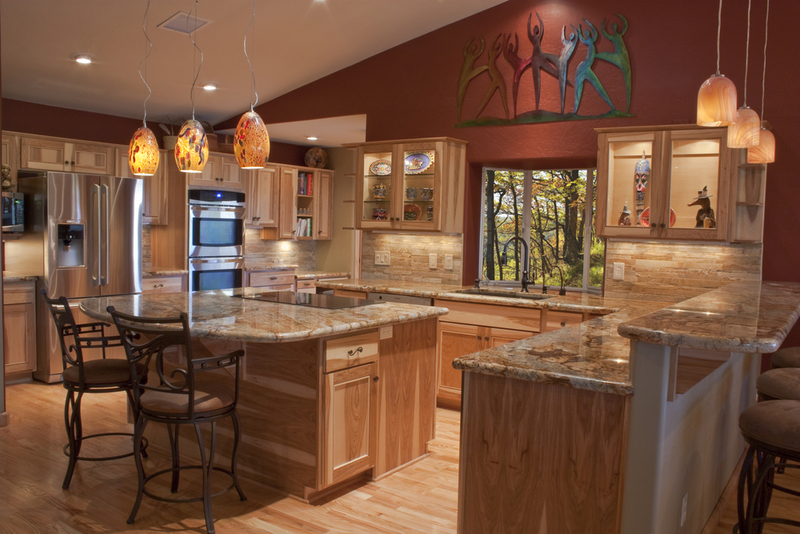 There are typically two different types of granite sealers. A penetrating sealer will protect the stone at a deep level, but an enhancing finish is designed to add a glossy shine. Decide what look you like (and which is good for your stone) before you buy. Next, it’s time to clean your counters. Use dish soap, hot water, a sponge and plenty of elbow grease to remove oils and dirt. You can try using a special granite stain cleaner to remove any deep blemishes. After you clean the counter, let it air-dry completely before moving on to the next step. Spray on the sealing product in an even, smooth motion, following the instructions for that particular sealer. You will probably have to wait between when you apply the first coat and when you apply any additional coats. After you’ve applied all necessary coats and the stone has absorbed the product, wipe away the excess with a cloth to prevent any fog or haze forming on the surface. Next, let your countertop cure for 24 to 48 hours before you begin using it again. This gives the sealer time to solidify. Are you interested in finding out what it would cost to add or replace the granite countertops in your home? Do you have more questions about sealing granite? The experts at Intermountain Stone & Marble Company are here to help. Give us a call!